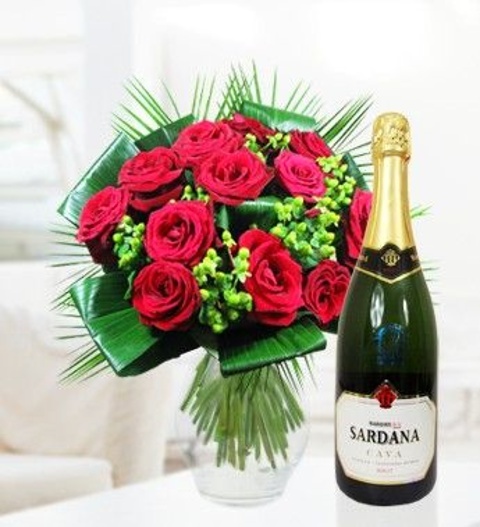 Our best selling romantic bouquet full of lush red roses and green foliage with a bottle of fizzy! A great romantic treat. Chocolates may contain nuts.